We recently hosted a Facebook Live Q and A session about the Amish. All staff gathered in the DutchCrafters showroom for the event. CEO Jim Miller fielded questions from staff and viewers. Jim Miller grew up in a Mennonite community and lived near Amish people for many years. For the last 15 years, he’s been leading DutchCrafters in connecting customers with beautiful Amish made furniture, and he’s developed relationships with dozens of Amish woodworkers during that time. 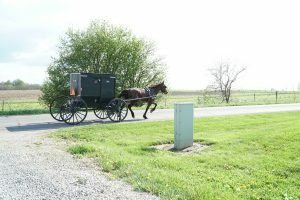 MARINA: What is a brief history of the Amish church and how are they different from Mennonites? JIM: I need to say first that I’m not a theologian or an expert on the Amish. I will talk to my experience and that’s what I can share with you today. The Amish and Mennonites both came from a movement that started during the Protestant Reformation. Many of you are familiar with Martin Luther and the Protestant Reformation in the 1520s. Actually, Luther put his 95 theses on the door of Wittenberg in about 1519. There was a small movement in Switzerland that basically began to question authority as far as what scriptures had to say and what the state had to say about religious matters. Others soon started to form a group of radicals. And this group of people was so radically minded they really wanted to go to the next step to challenge the authorities in religious and state matters. Out of that group emerged an Anabaptist movement as we would call it. They refused to listen to what the state was telling them, and they baptized each other as adults on January 18, 1525. These Anabaptists began being persecuted right away, and they went into hiding. While in hiding, they developed these small groups while in Switzerland. They became known as Believers first, then that group came to be known as Mennonites. They were persecuted for centuries. They lived primarily in Europe. In 1693, there was a Mennonite bishop who believed that the Mennonites were becoming too worldly. His name was Jacob Ammann. Jacob Ammann led his group away from the Mennonites and that group became followers of Ammann, and that became Amish. And that’s how the Amish broke away in the 1700s or so. Since that time, Amish and Mennonites have had a lot of fracturing over the years and they’ve migrated to many other places. Russia, Canada, North America, throughout the United States and places in South America. And actually, today the Mennonite church really is flourishing in places like Africa and Asia as well. But the Amish settled primarily in the United States, mostly in Pennsylvania at the invitation of William Penn. And that’s where they began to farm the lands and move out from there. In a nutshell, that’s about 500 years of Anabaptist history. Started with the Reformation, moved to the Mennonites and eventually the Amish. RYAN: Are Amish communities growing or are they struggling to maintain their identity in today’s modern society? JIM: That’s a great question. You would think that the Amish church in the face of modern society would be struggling and dwindling in size. Actually, the opposite is true. The Amish church continues to grow. It’s one of the fastest growing religious denominations in North America. The size of the Amish is about 250,000 persons as a whole in the United States. That’s still a relatively small group. But the reason for the growth will probably not surprise you as much. The reason for the growth is because they tend to have large families and most of the kids stay in the Amish church. Not all of them, but that has led to continuous growth. KARI JO: Can you convert to become Amish? JIM: The answer is yes, you can convert. The Amish church is open to anyone, but there are some requirements. As you might imagine, the requirements might not necessarily be appealing to some people. There are some requirements in terms of belief, the beliefs of the church would be important to adhere to, and you have to become baptized into the church as an adult professing your faith. With that, a closely related concept is that you would have to change lifestyle or adhere to the Amish lifestyle. So, if you’re willing to live by those theological convictions and those translate to your daily life and if you’re willing to receive the authority of the church, you certainly can convert. The reality is that the Amish have very few converts throughout history. So again, their growth has been due to large families. 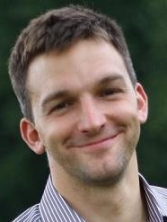 ERIK WESNER (Owner of AmishAmerica.com, writes exclusively about the Amish): What are some furniture items that we might be surprised to learn the Amish make? JIM: First, Erik’s site is a wealth of a resource for information about the Amish. He’s also a resource for Amish restaurants, Amish furniture stores, and a whole lot of other things. If you haven’t been to Amish country, his site is worth a visit. The question is about furniture that might be unusual for the Amish to make. Two groups of products come to my mind. One is our contemporary styles. 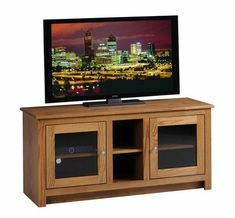 Most people think when they hear Amish furniture, they think of more traditional styles with oak wood, heavy oak grains and natural finishes, sort of your typical table that you might have seen at Grandma’s house. Well, there’s a whole lot of styles we have that are not in line with that style. The other group of products is outdoor furniture, particularly poly furniture. We sell a lot of poly furniture that’s basically made with recycled content, some virgin material, but it’s made of plastics. It’s highly durable and it comes in a wide variety of beautiful colors. Many people would not suspect that poly was made by the Amish, but in fact we have a number of craftsmen that build poly furniture that’s used all over the United States. 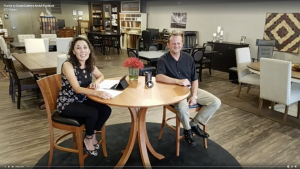 ERIK WESNER: How involved are women in the Amish furniture industry? JIM: This is another great question. I will speak from my own experience on this. We have relationships with a lot of Amish vendors in Pennsylvania, Ohio, and Indiana and the experiences we have with each of those shops is unique, yet there’s obviously some common themes. Women are not involved in a high degree typically, but there is in fact a presence throughout each of these states. It doesn’t represent the majority, but I would say there are particularly younger women present as you visit these shops. They’re involved in a couple of ways. 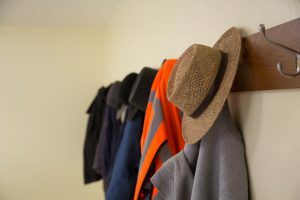 Often I see them working at the end of the process, the finishing process, either in the staining or the details that come with fastening or re-attaching hardware, making sure the fabrics are set up and that sort of thing. It’s sort of a stereotypical role for them, but the idea here from what the owners tell me, is the girls are so good at details that they want to see them involved there. But I’ve also seen women involved in the administrative part of things. ROBERT: What holidays do the Amish celebrate? Do they have unique holidays? JIM: The Amish celebrate a variety of Christian holidays. They don’t always celebrate some of the holidays that might be more national in nature. I’m not saying they don’t observe the 4th of July or Memorial Day or Labor Day, but those typically are not holidays that are prominent to the Amish. They’re a Christian group so they tend to celebrate many of the Christian holidays that you’re familiar with, like Easter, Christmas and so forth. One of the unique holidays that the Amish celebrate is Ascension Day. On Ascension Day the Amish close their shops. Ascension Day is essentially the day that marked Jesus ascending into heaven after his crucifixion and resurrection. MARIBEL: What rules do the Amish have about having their picture taken? JIM: Several of you have visited the Amish woodshops and you know when we go in we like to take lots of pictures of all kinds of things. We typically give a heads up when we’re going into the shops so we’re careful not to take pictures of the Amish, particularly their faces. This is not so much a superstitious thing with the Amish, it’s simply out of respect of their desire to refrain from using technology. The general practice is to not have their picture taken. We have had some exceptions. There have been some Amish over the years who don’t mind having their picture taken or maybe having a picture of their hands taken. JENN: Would you say that the Amish in general are becoming more modern and can you explain why some are allowed some luxuries while others aren’t? Why are some ok with using email and computers and others aren’t? JIM: My feeling is that maybe in very small, incremental steps the Amish are affected by the development of modern technology. I think the Amish have been very cautious over the years to try to adhere to those things that help set them apart. This is one of the founding principles of what it means to be Amish and being separate from society. So that separatism is important to them, I think they take it very seriously. Has that been influenced by outside factors? I would say yes, but I think that’s been a very cautious and slow development. It’s important to note the Amish are not some monolithic group across the United States that all adhere to the same rules. The rules about technology and the use of technology are governed at the district level and the discernment of the local communities, primarily at the direction of the bishops. While some bishops may be a little more lax on the use of technology, there might be others who would be much slower to say, you can use it. We’ve seen the difference to such a high degree. 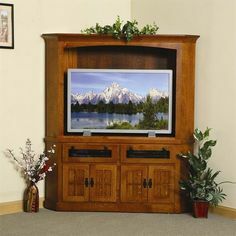 In some of our Amish shops in Indiana, they use laser guided, big expensive machines and in other shops in Ohio they wouldn’t allow us to photograph their furniture. So there’s that level of difference among some of the communities. MILCA: Where do wood shops derive their product designs from. Are they passed down generationally? JIM: I think the answer is that they do have products that are passed down sort of generationally, so that’s where those traditional styles and traditional products might come in. We happen to sell a lot of roll top desks that are age old styles and age old products where the tambour doors are all made from a single cut of wood. That’s an example of a design that would have been passed on. Then again, as I mentioned earlier, we sell a whole lot of more contemporary styles and those are being produced and driven by natural market influence. The Amish are out there paying attention to the trends in the marketplace and trying to make sure they meet them instead of copy them. So much of what happens is really market driven. We see changing trends all the time.